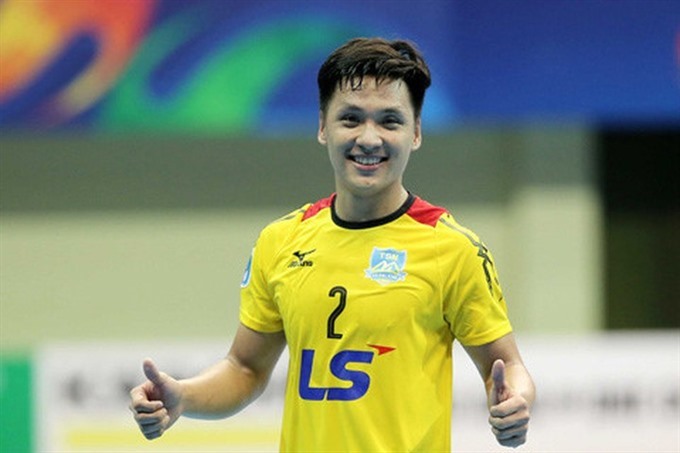 HÀ NỘI — Việt Nam national futsal team and Thái Sơn Nam Club goalkeeper Hồ Văn Ý has recently been nominated for the world’s top ten best futsal goalkeepers for 2018. The vote is held yearly on futsalplanet.com to create lists of the ten best goalkeepers in both men’s and women’s futsal. Also nominated are Miodrag Aksentijevic from Serbia, who is currently playing for MFK Tyumen (Russia), along with three Brazilian goalkeepers in Careca, Guitta and Higuita. The list also includes Jesus Herrero from Spain, Michal Kaluza from Poland, Stefano Razzetti from Italy, Alireza Beiranvand from Iran and Georgi Zamtaradze from Russia. Ý has had a successful year so far as a member of Thái Sơn Nam and played a role in helping the team to a second place finish in the AFC Futsal Club Championship 2018. He is also part of Thái Sơn Nam’s strategy to protect the national champion and national cup titles. Ý is also listed in the top nine players nominated for the Golden Ball futsal award for 2018.